Mention metrics or analytics to folks in the social change sector, and more often than not you’ll be met with a frozen stare, or perhaps a comment about website traffic. “Numbers guys” aren’t usually the people leading the charge on behalf of social causes. But the funders and foundations holding the purse strings at many nonprofits are increasingly asking for hard evidence: Are you moving the needle? Prove it! Monitor the community’s conversation about your organization or cause. Set short-term and mid-term goals that map to your strategic mission. Create and track metrics to assess your progress. Incorporate learnings from your monitoring and metrics into your operation. There’s a lot of confusion about what metrics means in the online arena, so let’s begin by outlining the different varieties of online metrics so we’re clear on our terms. 1Website ratings: How is your website faring overall? How does it compare with the most popular sites in your sector? To measure how you’re doing, look to free services like Compete and Alexa (or, less likely for nonprofits, paid services such as comScore, Nielsen//NetRatings or Hitwise). To improve how you’re doing in the search results — and the resulting increase in traffic — use SEO (see articles on this topic below). 2Advertising: If your site runs ads, the online advertising industry needs to know how many ads are being served and whether they’re being clicked on. Doubleclick is the giant of the field; the Atlas Network, 24/7 Real Media and Right Media are other players. Unless you’re focused on monetizing your site, don’t worry too much about this for now. 3Web analytics: You’re likely familiar with the idea of Web analytics, the process of analyzing the behavior of visitors to a website. Often you can tease out behavior about users’ behavior: Are they arriving on the landing pages you want? Do they bounce off — arrive and go no further? How many are being converted into newsletter subscribers? What’s their demographic and behavioral makeup, and how satisfied are they with their experience? Again, a host of companies ply these waters — including StatCounter, Omniture, WebTrends and CoreMetrics — but most nonprofits and small businesses can get by nicely by examining reports from Google Analytics (which you’ve surely installed on your site or blog by now, yes?) and then taking corrective action. 4Social media metrics: Increasingly critical to your organization’s success, social media metrics refers to the kinds of measurements that can take place on the social Web. Beyond traditional metrics like traffic and return visits to your website, social media metrics (also called social influence metrics or social marketing metrics) takes into account this simple fact: Most people are talking about your brands in all sorts of venues — social networks, blogs, forums, YouTube — well beyond your organization’s site. How often are they discussing your organization, brand or campaign? Are they saying positive or negative things? What’s the level of customer or user satisfaction over time? Once you listen, what do you measure? Different organizations place an emphasis on different factors in coming up with a suite of metrics to track, but numbers alone won’t tell you about sentiment. A stat like “Amnesty International: 742 mentions” may tell you whether you’re being discussed more or less frequently than in past weeks on social networks, but it doesn’t tell you whether commenters are saying good or bad things. You’ll want to keep a finger on the pulse of the community through a series of free social media monitoring tools (see our upcoming article), and then assess the success of your social media program or campaigns by using free tools to measure your social influence. For instance, how do you measure Facebook Page fan growth and engagement, or measure your Twitter influence, or measure your blog’s impact? Once you measure, how do you act on your learnings? Inform all of your marketing and promotional efforts? Help you reach and engage new influencers? Reshape your presence on the social Web? Prepare you for your next campaign? Become integrated into your operations to enhance efficiency or improve ROI (return on investment)? 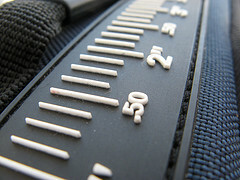 To return to our original question: How do you get started with social media metrics? Don’t freeze up. Just begin. Then learn as you go. • For a Guide to keyword research tools, search marketing, data mining and competitive intelligence tools, see my primer at Socialmedia.biz. • Launching a new site: 18 steps to successful metrics & marketing (Socialmedia.biz)JD Lasica, founder and former editor of Socialbrite, is co-founder of Cruiseable. Contact JD or follow him on Twitter or Google Plus. Yet another terrific post that's packed with great tips. Thank you so much for providing consistently great content. I particularly agree with the point that social media metrics are critical to the future success of any social media campaign. On a related note, if your readers are interested in seeing a formula on how to calculate social media return on investment, please feel free to read an article I wrote on Mashable called How to Calculate the ROI of a Social Media Campaign . It provides a formula that can be used to crunch very specific numbers on whether or not a social media campaign is working on an ROI basis. Thanks again for writing a great post. You guys are one of my favorite sites. Keep the great content coming!